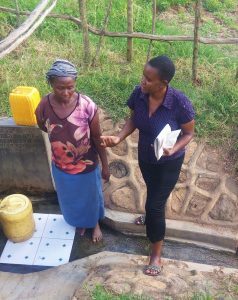 Water borne diseases reduced drastically allowing the community to use their resources in the right way rather than using it in seeking medication. 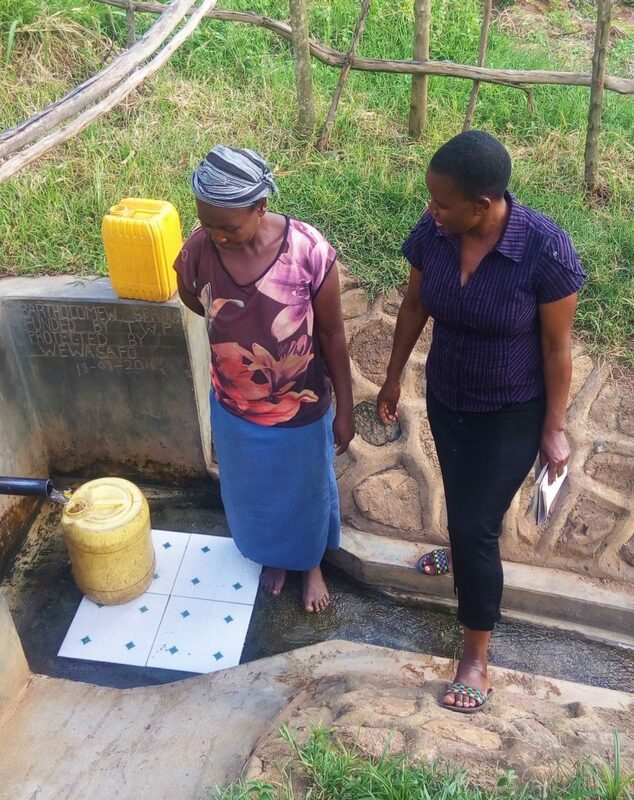 A year ago, generous donors helped build a spring protection and sanitation platforms with the community surrounding Batholomew Spring in Western Kenya. Because of these gifts and contributions from our monthly donors, partners can visit project sites throughout the year, strengthening relationships with communities and evaluating the actual water project. These consistent visits allow us to learn vital lessons and hear amazing stories – we’re excited to share this one from our partner, Rose Serete, with you. Before this spring was protected, this community suffered from water borne diseases, hindering progress and development of the community. But after implementation, water borne diseases reduced drastically allowing the community to use their resources in the right way rather than using it in seeking medication. When you draw close to Batholomew Spring, you are welcomed by a serene environment full of different types of plantation that was brought about because of the spring. “We still have challenges with some homes sharing latrines so there is need to empower them on this,” she adds. This community has really maintained well. They also need to keep up proper hygiene in their homes and keep teaching others about hygiene. 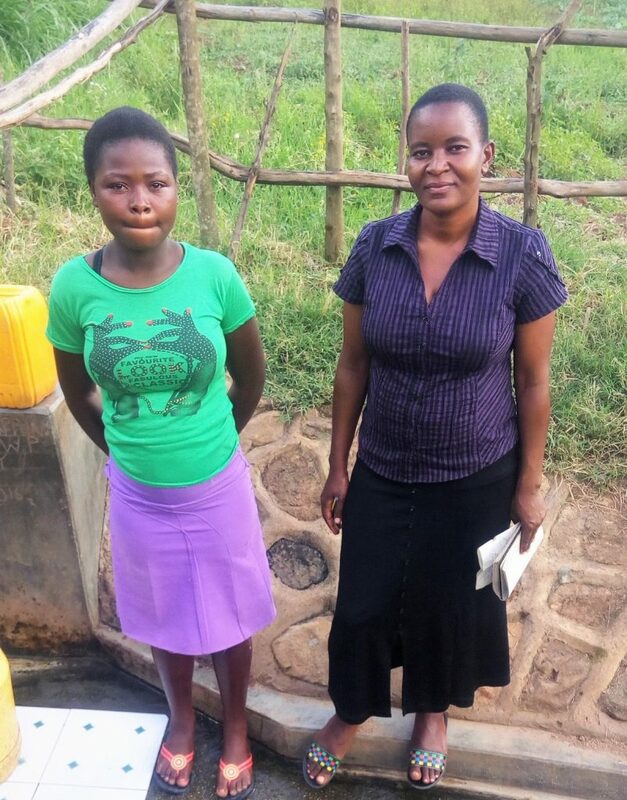 We will conduct monitoring and evaluation to ensure that the spring serves the intended purpose and that the community members get accessed to safe and clean water for drinking as well as for general chores at home. 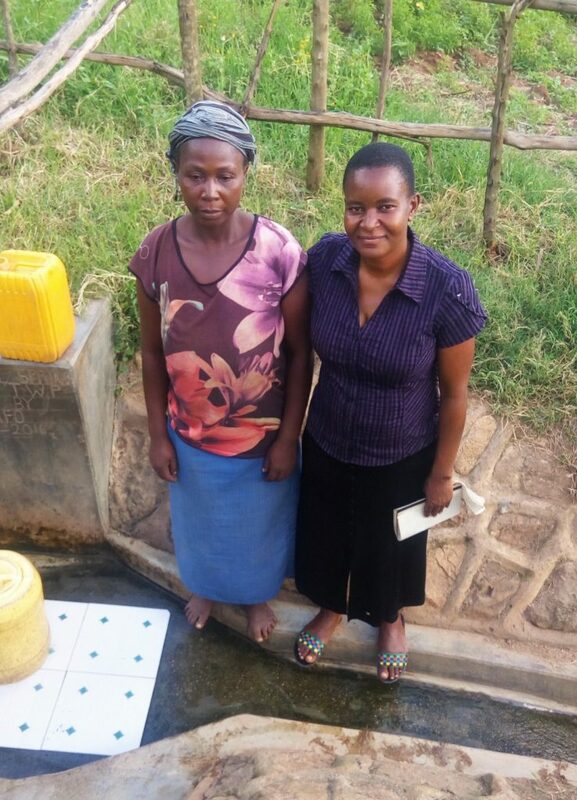 When you invest in The Water Project, you're investing in people like Carolyne Werengekha. Your gifts help us reach more communities with the gift of clean, safe water. And every drop helps unlock potential.